Don't let the thought of high sod prices keep you from installing a beautiful weed-free lawn. Laying a sod lawn may be less expensive than you think! 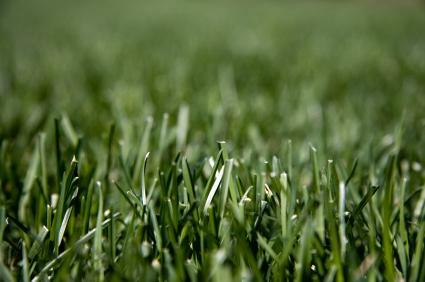 Sod is grass that has been harvested from the ground where it is commercially grown. Sod is grass that is harvested either in rolls or in squares, which make it easy to install on your lawn, much like installing carpet in your home. The rolls of grass are usually two to five feet wide and in lengths of 10 to 30 feet. It is best to install harvested sod within 24 to 48 hours for the best results. With all of these costs combined, the average cost of finished sod is 15 cents to 60 cents per square foot. It may be more costly to buy sod at a retail store than to buy it locally grown at a nearby nursery. A nursery may sell the sod to you at wholesale prices if you will be purchasing large quantities of sod. There are many more types of grasses that can be grown. The most variety can be found in grass seed available. However, sod is most popular in southern areas because growing grass is difficult in hot and dry areas. Sod still needs to be watered frequently in these areas, even if it is a drought-resistant grass. If you need a lawn quickly, there is no substitution for sod. Installing sod can be done quickly and efficiently by professional installers or as a do-it-yourself project. Grasses grown at local nurseries will be the best grass types for your area. It needs to be installed within 24 to 48 hours from the time of harvest for the best results. Sod prices will vary depending upon the types of sod available and the costs associated with preparing your ground for installation. If you install the sod by yourself, you will save labor costs, which can run from $300 to $600 per 2,000 square feet. Individuals who install their own sod should be aware that it is a time intensive project, but well worth the investment. The job can be made easier if you have a few family members or friends to assist with the installation.